As one of the largest service depots of its kind in western Canada and with over 25 years in business, British Auto Specialists guarantees prompt and efficient repair turn around to meet your busy schedule. Our 12,500 square foot Calgary auto body repair facility houses a service area equipped with everything required to restore and repair any vehicle that enters our doors. We welcome insurance claims from insurance companies. With the benefit of many years of experience and training, we are able to meet or exceed factory specifications. From touch-ups and chips to major scrapes or a full body repaint, we’ll restore your car in your choice of paint colour and type, depending on factory specifications and client preference. We can repair dents and dings on all steel and aluminum surfaces of your vehicle and specialize in paintless dent repair. No matter how severely a collision has damaged the frame of your vehicle, British Auto Specialists employs a frame machine capable of restoring the integrity of your car. Our auto body frame straightening machine can restore your frame to its original shape after a major accident and restore its driveability and safety. We use environmentally-friendly, PPG premium paint and our color matching skills are ranked amongst the best. Contact us for a no-nonsense estimate on auto body repairs for any make and model vehicle of any age. 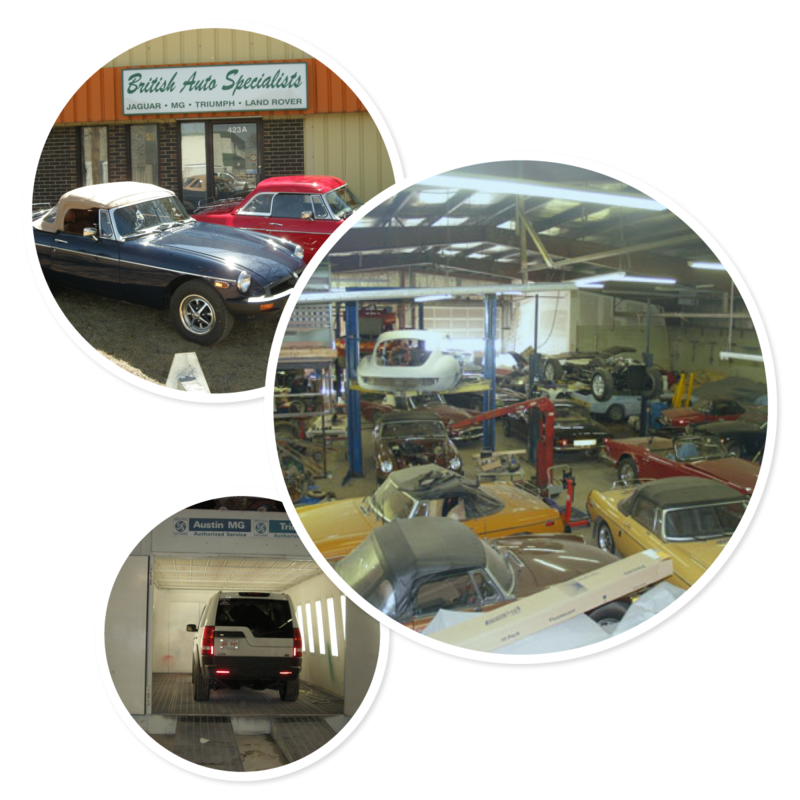 We welcome all insurance plans and have individual payment plans available for restorations.